Q. Should I fly into India a day early to give myself time to rest and adjust to the jet lag? A. Whether you fly in early is entirely up to you. If you do so, we can book additional nights at our hotel and make sure you have an airport pickup (depending on the tour, there may be an additional cost for the airport pickup). A day of rest can be a great way to make sure you’re ready for the tour. Q. Which airport should I fly into for the North India tour? Q. Which airport should I fly into for the South India tour? Q. How should I get to the hotel from the airport? A. We can make arrangements for you to be picked up by a driver/guide assigned by our company if you stay in our tour hotel. Look for your name and WanderTours on a placard. Q. What if I can’t find the driver with my name on a placard? A. If for some reason you can’t find your driver, a taxi driver will take US dollars or you can use the ATM machine or an money exchange booth inside the airport to get rupees to pay for a taxi. We will also provide you with an emergency number to call our local contact if you would like help once you’ve landed. Q. Am I responsible for my own visa? A. Indeed you are. Applying for a visa for India has become a bit more complicated in recent years as they require a number of details from you. We outline instructions for obtaining an Indian visa here. There are also services that will help you apply for a visa for a small fee. Just Google visa application centers for your area. Q. Do the airlines have restrictions on the weight of checked baggage? A. Always check the airline’s website before departure as policies tend to change and vary from airline to airline. Effective May 2013 both Air India and Jet Airways (used for internal India flights) have lowered the weight allowance of checked baggage to 15kg. Any luggage exceeding this weight will be subject to excess baggage charges. Q. What are the carry-on bag restrictions? A. Every airline is different AND some enforce their policies while others don’t. Check your airline’s website and then hope that if your bag is over their weight limit, they won’t actually check the weight. Q. Will we be responsible for handling our own luggage throughout the tour? A. You will have some interaction with your luggage but there are usually porters at the hotels and airports to help out. Even so, the lighter you can pack, the better as the terrain in India can be rough–including cobblestone streets, dirt tracks and stairs. Q. Do you take your driver’s license with you on trips where you aren’t planning on driving? Q. How much walking is there on this trip? A. It’s difficult to say exactly how much walking there will be but consider this: this is not a walking/hiking/trekking trip and not considered to be an “active” trip as things go. Having said that, our vehicle can only get so close to some of the sights we’ll be visiting (such as the Taj Mahal or temples in the South) so there’s no way of getting around walking down roads and around the sights themselves. There are times when some of the sights are up a steep incline or along cobblestone streets. You’ll enjoy the trip much more the better shape you’re in but that doesn’t mean you shouldn’t go if you feel you’re a bit slow. We do a great job of making sure even the slowest amongst the group is having a great time. If there’s a day you don’t feel you can make it to one of the sights, you can always hang back in the vehicle and people-watch, read or nap. A. In recent years we’ve gotten away from providing bottled water in an effort to reduce the amount of plastic waste we produce as a group. While you can purchase bottled water most anywhere, we strongly urge our tour participants to carry their own reusable water bottle and bring a water purifier, such as a SteriPen, to cut down on the number of plastic water bottles that get thrown out daily in India. Q. Should I expect squat toilets during the trip? A. Toilets in the hotels will be western style as should most of the toilets in restaurants. However, there may be an occasion where we make a stop (or visit a site) where the only available toilet is a squat toilet. It’s a good idea to carry your own toilet paper as it’s not always provided. Please note that the sewage systems in India are not built to handle items being flushed so more often than not there will be a basket next to the toilet in which you’ll put your used toilet paper. Q. Is English spoken in the areas where we’ll be traveling? A. Hindi and English are both official languages in India. In fact, most children – especially in cities – learn English first in school. So, yes, most people we’ll be interacting with will speak English but there may be occasions where you will interact with locals (perhaps someone you meet on a walk) who are uneducated and only speak their local dialect. A. Definitely do not drink water in your hotel room that’s straight from the tap. It is perfectly fine, however, to use a Steripen or some other water purifier using tap water. Though it “should” be OK to brush your teeth with tap water, if you are at all sensitive to intestinal issues, you should use bottled water instead. When ice is offered at restaurants, it has likely been treated but it’s OK to ask before ordering. A. Street food is generally safe to eat, particularly at popular vendors where there’s a high turnover of food and the food is cooked up fresh. Q. I like to have a nightcap in the evenings. Is it safe for me to go to the hotel’s bar at night? A. In general, it’s not common for women to frequent bars in India but, as a tourist, it will be fine for you to have a drink in the hotel bars. Q. What sort of shots do I need for this trip? A. We can’t provide specifics in terms of vaccines but, instead, highly recommend you contact your doctor for advice on needed shots prior to the trip. Keep in mind that some vaccinations require a series of shots, so you’ll want to get the process started early in case it takes several months to finish the round. You can also check the CDC website for recommendations. Q. Do I need any special medications or a first aid kit? A. If you are predisposed to anything (lactose intolerant or you have a sensitive stomach, for example) you may want to bring something for these. Although medications are available throughout India, it’s often in the form of natural remedies. You may not be able to find the types of over-the-counter medications that you’re used to at home. Q. What sort of hotels will we be staying in? A. We work with one of the top in-country operators in India who is able to get fantastic deals on some of the most unique 4 and 5 star hotels at our destinations. You may not be basking in luxury, but sometimes you’ll feel like it. The hotels are listed in each of the itineraries but are subject to change. Q. I’ve heard that rooms in India can easily be robbed. A. While we have never experienced theft from a hotel room on one of our tours, we recommend you take precautions wherever you go – India or elsewhere. Don’t carry valuables and, if you do, leave them in the hotel safe or locked in your luggage. Q. Do you know the name of the hotel the tour will be starting from yet? A. Hotel information is listed on the tour itinerary but we usually don’t have this confirmed until right before the tour (in case there are any last-minute changes). A complete hotel list will be provided a couple of weeks in advance of the tour start date and we encourage you to leave this with family and/or friends in case of an emergency. Q. Will hotels have fitness centers and/or safe walking routes and will there be time to get some exercise? A. Some hotels do have fitness centers but it’s best to check the hotel’s website (linked to from the tour itinerary page) for specific amenities. There may be some time for exercise in the early mornings or during a break in the late afternoons. While you may not find a “walking route,” we are in areas where it’s safe to walk during the day. Q. Will the hotels provide shampoo and conditioner like they do in some countries? A. Most hotels will have shampoo (and usually conditioner) in the bathrooms but the quality may not be up to your standards. If you like, you can always purchase shampoo and conditioner once you arrive if you don’t want to travel with it or you run out along the way. A. There *should* be but don’t absolutely count on it. Q. What is the risk of bedbugs? A. This is a tough question as everyone’s spending habits are different and much of the tour is covered in the cost of the trip. You’ll want to factor in the cost of souvenirs, drinks, extra food items and any additional things you might want to do during the trip. For a two-week trip in India, you might carry $500 cash and both a credit and debit card. You’ll likely come home with money, but it’s best to be prepared. Q. If I bring US dollars, do I need to be concerned about what kind of shape the bills are in? A. It’s best to have newer bills (2006 and later) rather than old or torn bills. Sometimes shopkeepers and money changers won’t take bills that are not in good shape. Q. Do we tip our guides and driver? A. We handle tipping for guides and drivers on our end. Having said that, if you feel like they’ve done an exceptional job, please feel free to tip on your own if you’re so moved. If you are escorted by a WanderTours guide (other than Beth – no tips required for her! ), then plan on tipping her $5-10/day. Q. I’d like to bring a gift to our in-country guide and, perhaps, other people I meet along the way. Do you have some suggestions? A. For small gifts, we suggest something from your hometown or state such as food items (local tea, coffee, for example) or items with logos like a coffee cup or baseball cap. You’ll want it to be easy to carry and something for which you don’t need to worry about sizing. Q. Can we bring items to give away to children? Q. Will I need to bargain when shopping at markets? A. Expect to bargain in shops where there are not fixed prices or where items have prices marked on them. In many shops, there may not be any prices noted in which case you should start a counter-offer at half the asking price and go from there. You’ll particularly have luck bargaining if you’re purchasing more than one item from the same vendor. Q. I’ve heard there’s been an issue with counterfeit Indian currency – should I be concerned? A. It’s unlikely that you’ll come across counterfeit currency on the tour, but it is a possibility. We found this article to be helpful. At the bottom of the page you’ll find some other common scams you might encounter. India is a very safe country, but unaware tourists can be quickly parted from their rupees. Q. What will the weather be like and how should I pack for it? A. Expect the weather to be quite warm, perhaps as high as in the 90’s depending on where you are. Pack for the heat but also a bit conservatively. A light cotton top or dress that covers your shoulders and knees or light pants or capris. We will provide you with a full packing list once you’ve registered for the tour. Q. Can I wear shorts, short skirts and tank tops? A. India is a very socially conservative country and, despite it being very hot, it’s not recommended for women to bare their shoulders and knees except in the very touristy areas or at touristy beaches. You might see other foreign women dressing less conservatively, but it’s generally not a good idea. A. There will likely be a pool at some of our hotels so you might consider bringing one. The hotels are linked to on the itinerary page so you can check there for hotel amenities. Q. What should I wear to the temples? A. Some temples have a dress code and you won’t be allowed in if you’re not properly dressed. This usually means having your legs and shoulders fully covered. You’ll need to leave your shoes at the door so you might consider bringing a pair of little socks and wearing those when you enter temples or other public buildings where you have to remove your shoes. Q. Can I wear a baseball cap? Q. Would you recommend taking a rain coat? Something more than one of those flimsy “emergency” ponchos? A. The vast majority of the time, we should have nice weather but we might experience a rain shower or two. A light rain jacket isn’t a bad idea. Remember to dress in layers, too, so that when the sun’s out, it’ll be easy to layer down into lighter clothes. A. No need to bring more than two pairs. This might include a pair of walking shoes and then a pair of sandals that you can easily slip on and off during visits to temples. Q. I’ve read that sidewalks and paths can be quite dirty with some unsavory items on them. If I bring my nice walking shoes, will they be ruined? A. It’s true that sidewalks and paths can be dirty and dusty. But if you’re watching where you’re going, you likely won’t step in anything unsavory. Having said that, this isn’t like traveling to Europe where wearing nicer clothes and shoes is common. You should wear shoes for comfort rather than fashion. Q. I wear special orthotic shoes. Should I be concerned about them getting stolen if I leave them outside a temple? A. If you like, you can put them in a bag and carry them with you inside the temple or leave them with the bus driver if you don’t need them to walk TO the temple itself (in which case bring flip flops or something else you can slip on your feet. Q. Will I have time to shop for clothes at the beginning of the trip? A. It depends on when you arrive in-country whether you’ll have time to shop. But whether you do it at the beginning of the trip or not, there will be plenty of time to shop. Fabindia is a great store to get travel clothes in an Indian style if you’d like to blend in more once you get there. We will visit several markets and have opportunities for shopping while on the tour. A. Definitely not but some people are more comfortable with a sleepsack. Even that you won’t need because we’ll be staying in high quality hotels. Q. Should I get small locks for my luggage? A. We recommend keeping your luggage locked not only if you’re going to check a bag for your flight but also if you leave any valuables in the hotel room while you’re out. Consider bringing a little lock to secure the zippers of your luggage together to avoid any opportunistic thievery. This will allow you to leave items such as a laptop or iPad in your luggage and not worry about it. While no one on any of our India tours has experienced a theft from their room, it is a good preventive measure. Q. Do I need a cable lock? A. You might consider locking your luggage to something stationary in the room although, given the high quality of the hotels we choose, it’s unlikely that this will be necessary. If you plan on independent travel by train or bus, one of these can come in very handy. You can find a cable lock at any bike or outdoor store. You might also be able to find one in your local REI or travel/luggage store, but here’s a link to one on Amazon. Q. Do we need to bring mosquito nets? A. You will not need to bring a mosquito net as we likely won’t see mosquitoes at our air-conditioned hotels. In the off-chance a hotel does have mosquitoes, they usually provide a plug-in device that repels the mosquitoes. If needed, mosquito nets will be provided for our overnight on the houseboat. Q. What tricks do you use to fit all your items into a carry-on bag and still have room for souvenirs? A. Most hotels should have WiFi available. Sometimes it’s available in the rooms and other times it’s only available in the lobby or common areas. This information is usually available on the hotel’s website which are linked to on the itinerary pages of each tour. A. Of course! We should have electricity throughout the trip–except for the odd time when there may be a power outage. It’s unlikely, however, as the hotels we’ve chosen are top notch with backup generators in case of an outage. Q. Can I use my cell phone in India? A. It’s possible. This article is excellent for explaining how to use your phone in India. In addition to this, you might consider only using the phone when you have WiFi. There is a setting where you can allow for phone calls to come through via WiFi. This is an excellent way to stay in touch with family while you’re traveling because it will cost you virtually nothing (unless you have to pay for WiFi at the hotels). If you need more regular access to your phone and / or WiFi, you can bring your own mobile hotspot like this Solis Skyroam device. After the initial purchase, you’ll pay a daily rate for using WiFi. It can be cheaper to do this than to get an international plan from your cell phone provider. A. 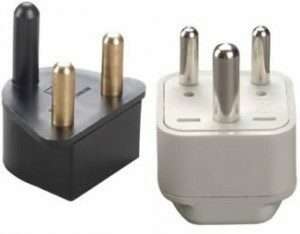 You can find a power adapter on Amazon or at any travel store. Look for ones that look like these pictured. A. You will need a converter for any devices unable to handle 220 (ie. your hair dryer, curling iron, etc.). Laptops and other electronics usually now have internal convertors, but check on your particular device to be certain. A. This is a program we have developed for most of our international tours, where a portion of your tour cost goes towards supporting a project or non-profit organization in the country where the tour is taking place. Read our blog post on this topic. Q. Is there a schedule for installment payments? A. We don’t have anything formal set up but it’s you can definitely send in payments on your own schedule. Some people send in monthly payments while other people send in payments when it’s convenient. A. Although we don’t require travel insurance, we definitely think it’s a great idea – not just for unexpected cancellations, but also for health issues and medical evacuation while you’re abroad. You can try travel insurance through Allianz or travel and evacuation insurance through Insure My Trip. Both have a wide range of options, good customer service, easy to navigate websites and offer numerous affordable options including travel, medical and evacuation insurance. A. Our cancellation policy is outlined on the registration form (which you’ll receive within 24 hours of us receiving your deposit) and covered in our Booking Terms and Conditions. If there’s a chance you might have to cancel at the last minute due to illness or a family member being ill, you can easily purchase travel insurance through Allianz or Insure My Trip. Refunds will be sent by check within two weeks of our receiving written notification of your cancellation (email notification is fine). If Beth is traveling when you cancel, it may take longer than two weeks to get your refund check out to you. She’ll mail it as soon as she can upon returning to the U.S.